"How did you get to be the woman you are today?" And so begins the story that 85-year-old Addie tells her 22-year-old granddaughter Ava. Born in 1900, Addie lived in Boston her whole life. Born to immigrant parents who were unprepared for the effect America would have on their three daughters. Addie was introduced to short skirts, celebrity pop culture, love, college, opportunities for women, feminism and a career. 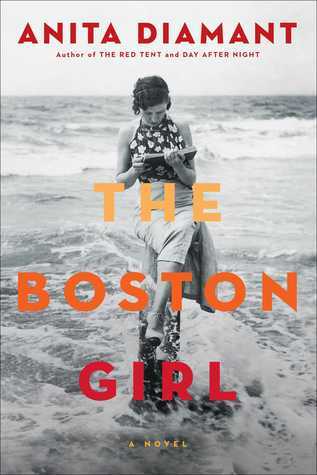 The Boston Girl is a literary portrait of a young jewish woman growing up in America. Anita Diamant wrote with historical detail that made Addie's storytelling hard to pause reading. It wasn't too long and wasn't so short that I wanted to read more about Addie. A great balance! The Boston Girl is a good for 30- and 40-something women's book clubs.